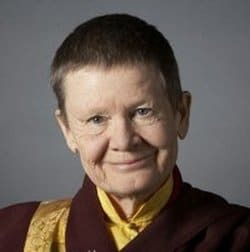 Pema Chödrön recommends what she calls “pause practice” as a way of stepping out of the stream of thoughts and preoccupations that can so easily carry us away during our day. To do the practice, just pause and take three conscious breaths. That’s all. In the car, on the bus, standing in line.